On 15 June 1983, a compilation album entitled 'Kate Bush' was released in the USA and Canada. EMI Records released this mini-LP because they wanted to promote Kate Bush, who was relatively unknown in the USA at the time. In Canada, she was more famous, and so the Canadian version ended up with one extra track. 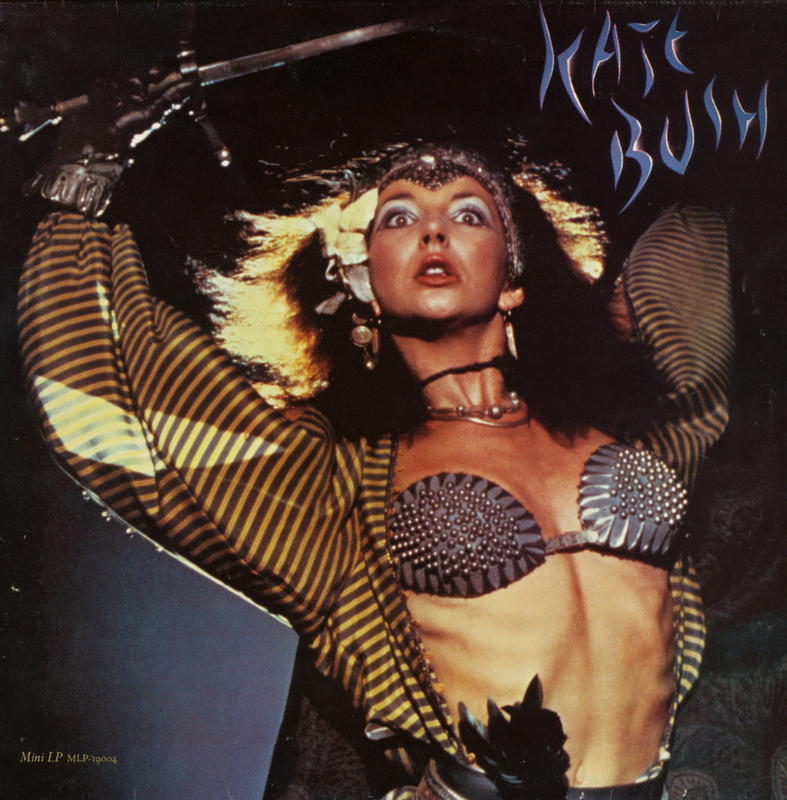 The cover shows Kate in the warrior costume she was wearing in the music video for one of the tracks included in the album, 'Babooshka'. In the USA, this mini-LP was released on tape and LP. In Canada, the mini-LP was released as an LP only, but it's interesting to note that there were versions in many different colours of vinyl: brown, blue, gold, translucent green, red, white and clear vinyl. The album was reviewed a few times in the American press. "An excellent, if somewhat schizophrenic, introduction to British singer Bush" wrote Alex Cain in Pulse!, August 1983. J.D. Considine wrote in Musician, September 1983: "An easy introduction, at the same time it introduces (...) a number of Kate Bush's failings." Robert Godwin, The Illustrated Collector's Guide To Kate Bush, cop. 2005. ISBN 1894959450.